With a gentle press of the plunger, the 6oz (117.44mL) plastic, pump bottle is great for dispensing controlled amounts of your oils, soaps, lotions and creams. The dark blue color helps prevent degredation of your product while the pump can be easily locked to prevent spills during travel. 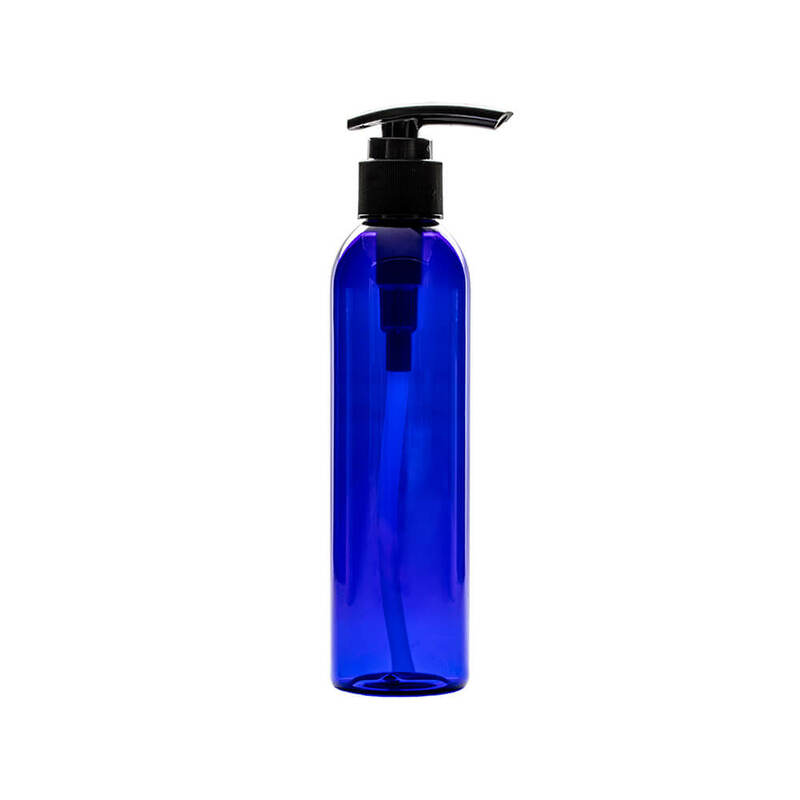 The 6oz blue, plastic pump bottle is great for dispensing a variety of liquids including lotions, soaps and creams.